So we’ve had our fair share of teachers. Some of them have been rubbish (Mr. B, the Geography teacher who used to mock his students’ looks and their sexualities), and some of them have been brilliant (Dr. D, who used Kelis’ Milkshake to highlight a lesson on boredom). In literature, there’s a good split between the teachers we love to hate (if you don’t despise Dolores Umbridge, get to the back of the class!) and the ones we adore. Here’s our list of 10 inspirational teachers, drawn from our favourite books. When Sahara is pulled out of special school by her mum and reinstalled in mainstream education she encounters the unusual teaching style of Miss Pointy, who conducts lessons in “puzzling” and “time travel”, is flamboyant and rude and who helps Sahara decide on the person she wants to be: the one in the school records or the one in her own life story. Bear with us. Throughout the Harry Potter series, Snape is placed in opposition to the Boy Who Lived; sneering and scornful, and a bit of a bully towards his students, he is nonetheless an effective Dark Arts teacher who gives his life in the protection of his student, in memory of his lifelong love. “After all this time?”. “Always”. No, YOU’RE crying. Anne is mistakenly sent to the Cuthberts instead of the orphan boy they requested. She later becomes the teacher at Avonlea and the later books are filled with stories of Anne’s teaching and the students she meets and befriends along the way. “Anne, darling, we owe it all to you. We'll never forget it, will we, Jarvis?”. In the novel Precious, by Sapphire, we see a young woman’s life wrecked by abuse. When the 16-year-old Precious’s second pregnancy is discovered she is transferred to a specialist school, where she meets Blu Rain, who inspires her to learn how to read and write and gives her a start to a new life. “That didn't love, Precious. Your baby loves you. *I* love you! PUSH yourself!”. The kindly nun teaches her boarding school wards science, math, literature, music, and arts, and sometimes even physical education - quite the polymath! She secretly favours Madeline because of her wit and precociousness but is caring towards all of her students, even the perennial bully Vicky. “Goodnight little girls, thank the Lord you are well." "Goodnight, goodnight dear Miss Clavel!" The book was based on the movie but this list would not be complete without Mr. Keating, the teacher who inspires his students through his love of poetry. If he isn’t tearing pages out of textbooks he's leaping up on desks and encouraging them to create their own individual walks. Despite a devastating turn of events, the students eventually show that they have taken on board the lessons of their dynamic teacher. “Oh Captain, my Captain!”. One of the best ways to read more about why we do what we do is to buy our latest book ‘Meee in a Minute’ for just £10 at www.meeebooks.com. You can also now purchase our audiobook here! 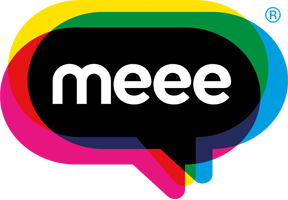 Many thanks from us all at Meee.